Bring new creativity to your workflow with the Touch Bar. Use the Touch Bar on the new MacBook Pro to fine-tune sounds, quickly navigate your project, and even play instruments — all from your keyboard. An overview of Logic Pro X, from A to G-sharp. 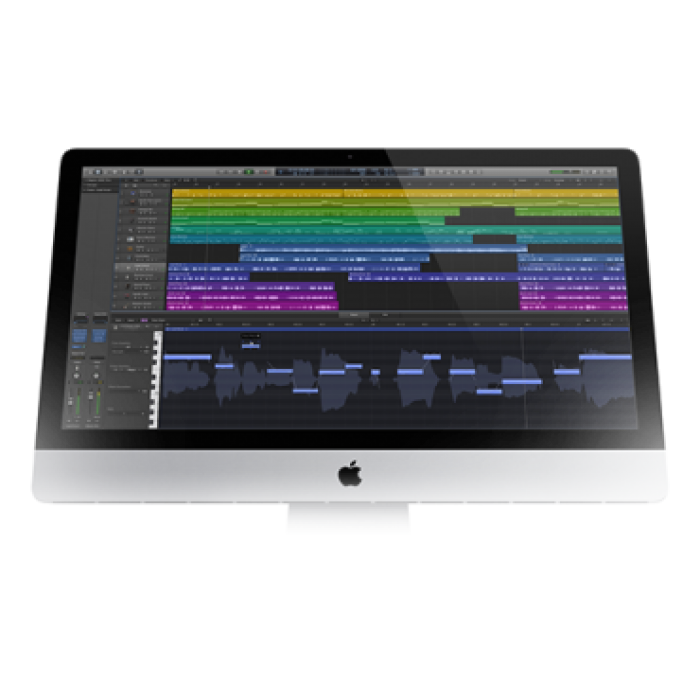 Logic Pro X puts a complete recording and MIDI production studio on your Mac. It’s the perfect environment for writing a song from scratch all the way to mixing it down for a worldwide release. All in an intuitive interface that puts the tools you need just where you need them. Amazing plug-ins and sounds at your fingertips. Logic Pro X comes with a massive collection of instrument and effect plug-ins. The Sound Library provides thousands of Patches and Apple Loops created by top sound designers. Whether you’re sweetening a melody, grinding out trap beats or building towards a big drop, you’ll never run out of possibilities. Make a smooth transition from GarageBand. Making the move from GarageBand to Logic Pro feels instantly familiar — but it comes with a deep set of new tools and sounds, as well as easy access to more advanced features whenever you’re ready to use them. And GarageBand projects open in Logic Pro, so you can start right where you left off. Control Logic Pro X from your iPad or iPhone with Logic Remote. Wirelessly play any software instrument in Logic Pro X from your iPad Pro, iPad or iPhone, and easily shape your sound as you go. On iPad Pro, Logic Remote takes advantage of the massive display to enhance your ability to play Touch Instruments, dial in the perfect mix and access more key commands. And Logic Remote works on iPhone, so it’s easy to control your recording session where and when you want — even from the booth.